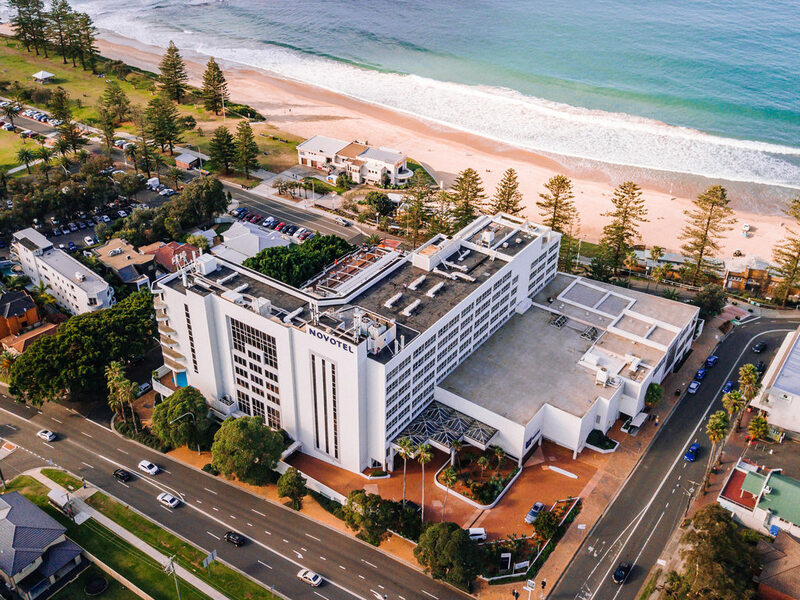 With its excellent beachside location, Novotel Wollongong Northbeach offers access to Wollongong's many attractions, including Wollongong Botanic Gardens, WIN Stadium, Wollongong City Centre Heritage Trail, Wollongong City Gallery, the Illawara Brewery an d Nan Tien Temple. Guests staying at this contemporary Wollongong hotel are also within easy reach of the city's restaurants and bars, its shops and its beaches, which offer plenty of opportunity for surfing, diving, kayaking, swimming and relaxing. Warm welcome and upgrade to a balcony room overlooking the beach. Comfort, size and decor of the room was something again! Food was first class and being an Accor members, cheap as! What more is there to say other than it was a first class experience all round. Thank you to the wonderful and helpful staff. A great stay but disappointing about the pool! Loved everything, the room, the beds, the service down in the bar area. But, we were disappointed that the pool was closed on Sunday morning... this was a significant reason for our stay at the hotel. I am a very disappointed loyal member of Accor! A wonderful way to celebrate a wedding! As parents of the groom with most of our friends and relatives from Sydney, it was fantastic to have both the ceremony and celebration at the same venue. Also it was great to have a lot of people staying so we could mingle before and after the ceremony and then at breakfast the next morning. Staff do care and it is great to see the regular staff there to welcome you. Relaxing and enjoyable - rooms neat clean and tidy. We love the location of this motel room 524 was amazing. The only thing I would suggest is an update in the pool area and spa. Also it would be great to have a shared sauna opposed to being in the toilets. The stay was great. Staff were helpful & accommodating. Room was modern, fresh & clean. Just one thing. Something needs to be done with rubbish storage on 2 deck carpark. The smell was very strong & was noticeable when on the baloney in room 904 on Sunday, Monday & Tuesday. Was terrible walking in the car park. Pretty average this is allowed to happen! friendly staff, spotless room, great food. The Staff were very friendly and nothing was too much trouble for them. The food was excellent. Great location. Nice location and enjoyed being able to walk along the beach headland. Great bed. Hotel restaurants average, coffee shop outside in corner was excellent. Gr8 place to stay with the beach accross the road. Nothing better than knocking off after a long day and walking the beach other than walking of breakfast on the beach before work. Top spot good rooms helpful staff. Good Accommodation. Dining on the second night took 45 Minutes to get a steak and chips. Asked for Medium Well and got Medium. Breakfast on 2nd day wasn't that good as most of the choices had gone cold. A very welcoming reception and very comfortable stay. A very comfortable stay and helpful service throughout the stay, including the welcome gifts in the room.